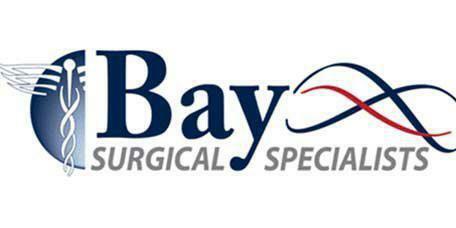 Dr. Almond provides expert treatment of aortic disease to patient from the Tampa Bay area from the Bay Surgical Specialists offices located in St. Petersburg and Pasadena, FL. These conditions are considered to be very serious medical concerns which should be screened for regularly and treated before the damage causes a life altering event. Aortic disease is treated as an emergency. What treatments are available for aortic disease? Medicine is sometimes prescribed before or instead of surgery. It is usually used to lower blood pressure and relax blood vessels to reduce the risk of an aneurysm bursting or a tear growing. However, in some situations, where the damage is great or growing quickly, surgery may be the best course of action. Aortic surgery is carried out in two forms: open abdominal or chest repair or Endovascular repair. Open surgery is the traditional procedure where the surgeon makes an incision in the patient’s abdomen or chest to access the aorta and perform the repairs. In endovascular procedures, the surgeon makes a small incision, usually near the groin of the patient, and feeds a catheter through the body to the aorta, then uses specially designed tools and cameras to perform the repairs from inside the aorta, using video feed to see the damage and procedure. Following open surgery, the patient will stay in the hospital, usually for about a week to ensure that the incision is healing and that the procedure was effective. This also gives time for the patient to regain strength and for the postoperative pain to subside. Endovascular surgery typically has a faster recovery time because it is less invasive. Patients will normally be released on the day following the procedure. In both cases, the surgeon will provide detailed instructions about how long to rest, when to resume gentle, then normal activities, and schedule follow up appointments. Patients will be advised on lifestyle changes to improve their overall health, including dietary improvements, regular exercise and smoking cessation support, if needed.